Thought it would be safe to paint yesterday since the sun came out at noon. Good thing I caught that Relative Humidity (RH) was a bit high hovering near 70%. If there is too much water vapor in the air (high relative humidity) paint will have a hard time drying up. You'll end up with a bad paint job. What's the ideal temperature and relative humidity for painting?, if you check online it says 16 ~ 30 degrees Celsius to 40% to 60% Relative Humidity. I live in a tropical climate though and temperature always hovers above 30 degrees, based from my experience all that means is that paint will dry up faster. 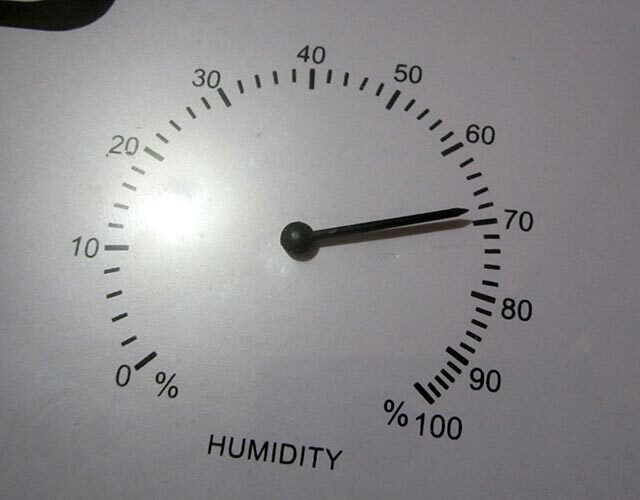 What I have to always look out for is relative humidity. Humidity is always high out in the tropics and a muggy day (overcast and cloudy) will mean high temperatures, but that could easily lull you into thinking that since it's hot it's OK to paint. Nope, check your relative humidity always. Happened to me before since I didn't have anything to measure RH with, boy did I mess up that paint job. Spent some time having to strip off paint. Don't want to go through that again. If it can't be helped, you can always spend some cash for a dryer. I saw some Japanese promodellers before placing their finish painted pieces in dryers that looked something like this. I'm assuming they were dish dryers, but I'm not entirely sure.